Beginning on March 10, when Liverpool are scheduled to host Burnley, the US company’s technology should permit viewers to savour the best of the action from the perspective of their choice. Ultra-high-definition cameras will be harnessed to bring those watching via either rights-holder broadcasts or official club platforms a range of features. These are said to include multi-angle replays and highlight reels, a “virtual plane” showing where players are positioned on the pitch and a freeze capability, enabling viewers to study key moments from the perspective of an individual player. The technology will also be introduced at Arsenal’s Emirates Stadium in North London, where the Gunners are due to take on Ole Gunnar Solksjaer’s resurgent Manchester United on March 10, in what could be a crucial episode in the race for fourth place. 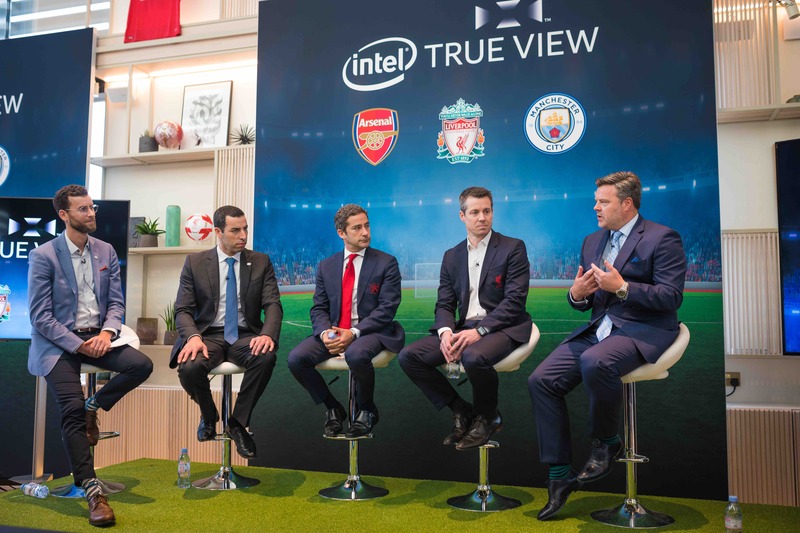 According to Intel Sports’ James Carwana, “with Arsenal, Liverpool and Manchester City, we have the chance to transform the experience for fans of one of the world’s top sports leagues with our leading and differentiated volumetric technology”. The Intel name has been cropping up with increased regularity in a sports context in recent times as the company has sought to diversify beyond computer chips into newer markets. In mid-2017, it agreed to become a worldwide sponsor of the International Olympic Committee until 2024, saying it would “focus primarily” on “infusing” its 5G platforms, virtual reality, 3D and 360 content development platforms, artificial intelligence platforms and drones, along with other “silicon solutions” to enhance the Olympic Games. Intel recently appointed a new chief executive in the shape of Robert Swan, a 58-year-old finance specialist. The move represents something of a new departure, with previous incumbents having been engineers or semiconductor specialists.